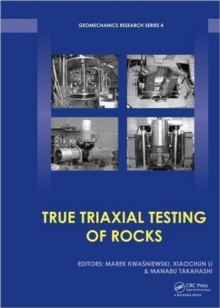 This is the first book ever published on the problems of true triaxial testing of rocks addressing all aspects of true triaxial testing of rocks, including: (i) true triaxial testing techniques and procedures; (ii) test results: strength, deformability, failure mode, permeability, acoustic emission, and elastic wave velocity; (iii) constitutive laws and failure criteria; and (iv) applications to geoengineering and geosciences. 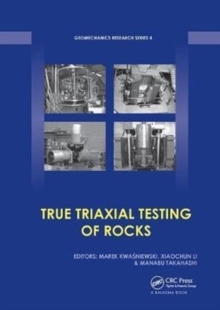 Recent developments in the field of true triaxial testing of rocks are presented, as well as a thorough review of the most important achievements in the whole history of true triaxial testing of rocks. 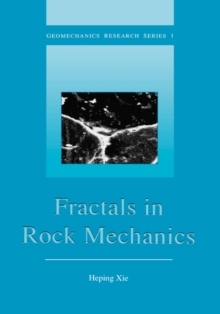 Almost all researchers from around the world engaged in the true triaxial testing of rocks over the last three decades have contributed to this work. 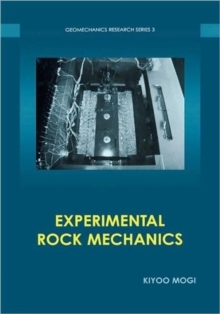 The authors originate from different branches of geoengineering and geosciences, including civil engineering, engineering geology, geotechnical engineering, mining engineering, petroleum engineering, seismology, and tectonophysics.